This sleek and quiet under cabinet range hood by Cyclone is a standout in any cooking space! Perfect for those with a contemporary kitchen design, the CYS1000R offers high performance power with its centred two-speed fan, plus two bright lights with two settings to help you see what's cooking. 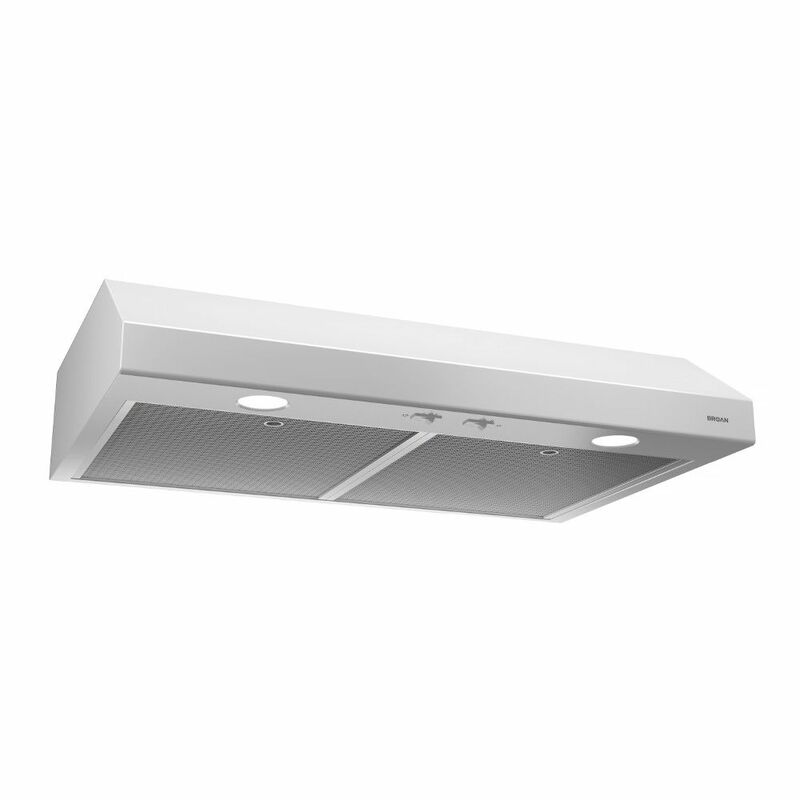 24 inch 250 CFM Under cabinet range hood in white Glacier Series. The smart choice. Air quality is a top concern for today's families. The Broan series, with its superior capture efficiency, is the ideal solution. What's more, this model's features provide the best quality and performance for the price.